Car Communications is offering DAB car radio conversions for £189.99 fully installed. The switch-over to DAB may still be a few years away, but many new cars now come with DAB as standard and drivers are listening to the benefits: particularly Radio 5 Live. Now, Car Communications can fit its DABmotion DAB1001 kit, compatible with most cars built in systems, for £189.99 fully installed. The DABmotion kit offers great performance at a low price point by using the car's existing audio head unit. Blackburn-based Car Communications runs a national audio installation service. Their established e-commerce website www.carcommunications.co.uk now offers customers not only the option to buy the DABmotion radio kit but also the chance to pay a fully-fitted ‘Install it for me’ price; they can even request convenient fitting dates as they checkout. Fitting will then be completed by a national network of trained engineers, who aim to arrange customer visits within just 5 working days. DABmotion’s universal DAB1001 is now outselling vehicle-specific solutions that can be totally integrated but are much more expensive to install. Car Communications retail the DAB1001 conversion kit for kit for just £189.99 with installation included, which is carried out at customers’ home or work at a convenient time. The ingenious DAB1001 kit includes a matchbox sized remote control, hideaway black box interface and the all-important antenna. Once fitted, customers gain the wealth of DAB choices through their existing car audio system. 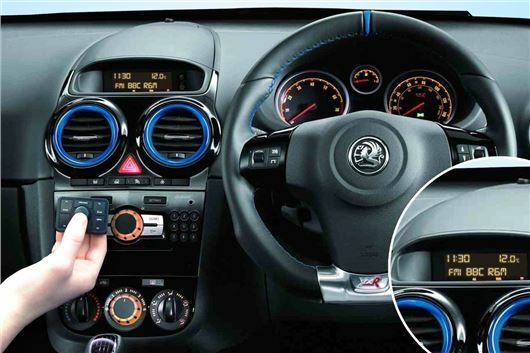 The fitting process sees Car Communications locate, power and conceal the interface and optimise the placement of the antenna to suit the vehicle, boosting reception and performance. Digital Radio UK (DRUK) is planning campaigns later this year, on behalf of the UK Government, to raise driver awareness of the DAB solutions now available to motorists. For further information or to buy online, please visit http://www.carcommunications.co.uk/dabmotion to see the DABmotion DAB car radio conversion kit. drivers are listening to the benefits: particularly Radio 5 Live. I have some audio retrofitted at Car Communications. and had problems for years afterwards. These guys don't know what they are doing, go to a professional.